Quiet and family hotel with heated swimming pool (from May to September) and terrace in the garden for breakfasts. 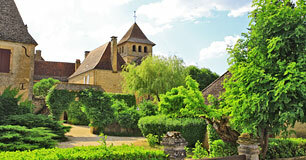 The Hotel Mounéa is situated in adorable small typical village of Marquay, in Dordogne in the heart of Black Périgord. In the exceptional setting of a small village typical of the Périgord Noir and in the heart of the Dordogne’s mythical triangle of Lascaux, Les Eyzies and Sarlat. swimming pool (from May to September). 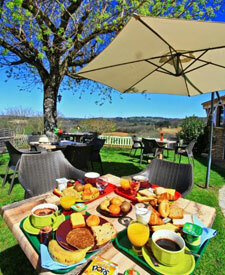 Enjoy your breakfast on the terrace with its panoramic view over the countryside of Périgord. During your visits and rambles you will no doubt uncover some of the historic and prehistoric secrets. 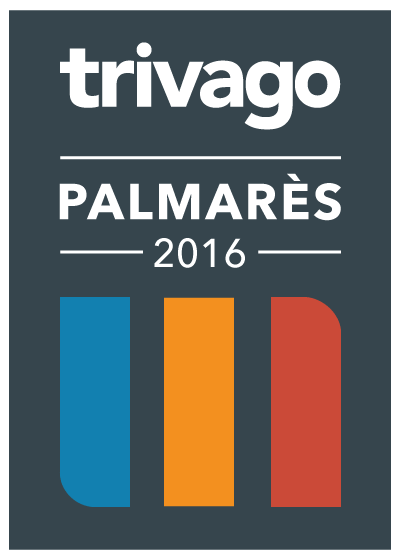 The most prestigious sites of Périgord Noir are close by. 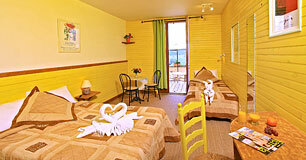 with or without terrace – double, triple or family rooms – all equipped with television, bathroom with WC, shower or bath.